Romania's Social Democratic Party (PSD)-led government survived a motion censure submitted by the opposition on Thursday, going on counter-attack with new threats and blaming others for political failures. The government was forced, however, to postpone until Friday a decision on a draft emergency ordinance on fiscal changes, which has sparked an outcry on the stock exchange and among businesses since Tuesday. The fate of another critical ordinance was still to be cleared by late afternoon. Some EUR 3.1 billion were erased on the Bucharest Stock Exchange (BVB) on Wednesday, a day after the Romanian government announced a draft ordinance bringing major changes to taxation and other corporate regulations, less than two weeks before the new year. Energy and banking institutions were most affected by the BVB blow in the wake of the government announcement, which mainly affects banking, energy, telecom and insurance companies. ​Romanian authorities sparked market outcry on Wednesday by announcing on Tuesday evening a series of massive changes to Romanian tax and other corporate rules, changes due to be applied, theoretically, in less than two weeks. 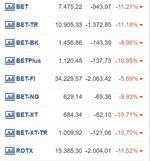 The Bucharest Stock Exchange opened with strong losses today and pension funds, investors and other private sector bodies reacted harshly to measures which include a Greed Tax (yes, that is its name), changes to private pensions and state intervention on electricity and gas prices. UPDATE 1 President Klaus Iohannis urged the government on Wednesday to drop plans for the new taxes, saying they were "throwing Romania into chaos". 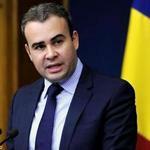 He said PSD was to blame of "greed"
UPDATE 2 Also on Wednesday, the American Chamber of Commerce in Romania (AmCham Romania) called for an urgent withdrawal of the emergency ordinance, calling its provisions as lacking responsibility and causing generalised chaos in the economy. 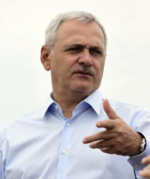 Liviu Dragnea, the speaker of Romania's House of Deputies and leader of Romania's governing Social Democrats (PSD), used a speech on Sunday evening to strengthen his image of a strongman, with nationalistic attacks against the West, Western companies, the rule of law and president Klaus Iohannis, his political archrival. His statements drew a wave of reactions on Monday, as public bodies and various organisations took a stand against his statements. Romania's PM Viorica Dancila on Monday announced that the leadership of the governing Social Democratic Party (PSD) has decided the adoption of an emergency ordinance on the penal code and penal procedure codes of the country. She said that there was a vote on the opportunity of such an ordinance, but not when it would be adopted. ​Romanian anti-graft prosecutors are accusing Senate speaker Calin Popescu Tariceanu of having received "material benefits" amounting to some USD 800,000 when he served as prime minister a decade ago. 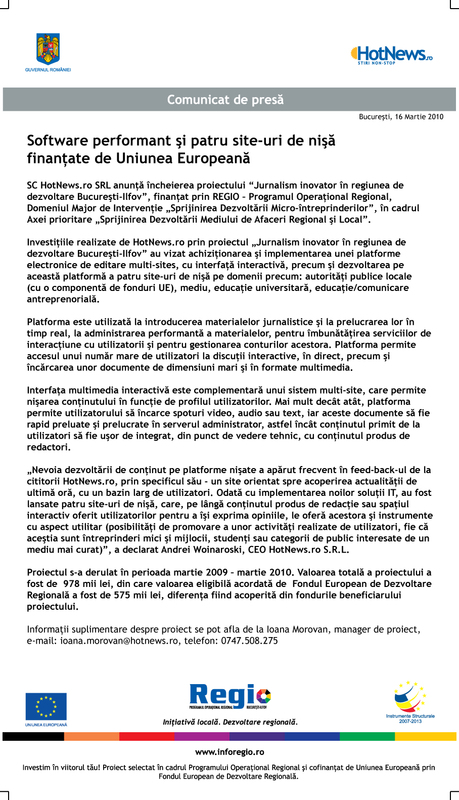 According to HotNews.ro sources, the charges are related to Austrian company Fujitsu Siemens Computers GmbH, which was a distributor of Microsoft licenses at the time.